I apologize for the lapse in posts. My time has been so preoccupied with knitting two Icarus shawls for my friend's wedding on Oct 18 (I seriously need to pick it up again.) that I needed a break this month. I thought I'd do something fun for everyone. 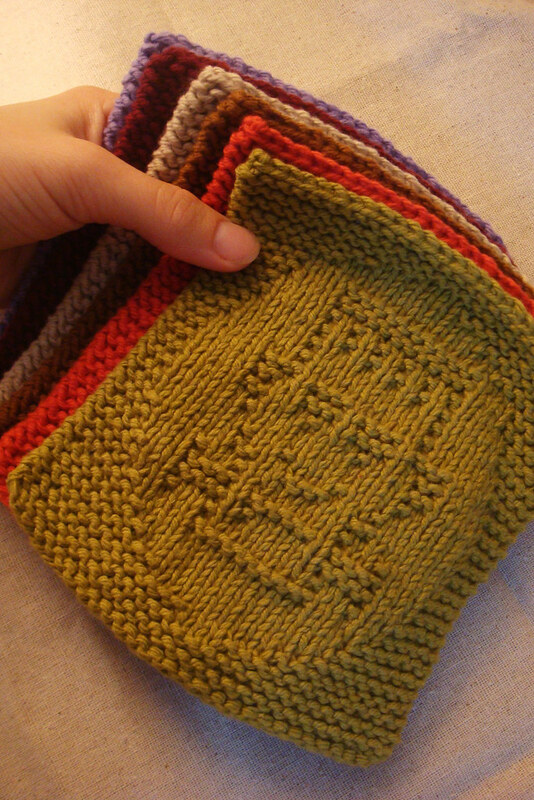 I decided to design some mini-dishcloths that were quick and addictive to knit up. At 5½"x5½" they're adorable and functional. My husbands been cleaning everything in the kitchen with my test knits. Autumn is my favorite season and Halloween is right around the corner so I was inspired. I've already made three sets for the mothers in my life. They are so fast its ridiculous. There are six patterns all together. I made each written pattern with a corresponding chart of the dishcloth. From the sets that I've already made, I've managed to get about 2-2½ cloths out of one ball of Lily's Sugar'n Cream Solid Yarn. Though you can use any kitchen cotton you prefer. They're sure to spice up your Halloween. There are more photos of the cloths on my pattern page on Ravelry here. The pattern is available as a PDF download and priced at $3.25. 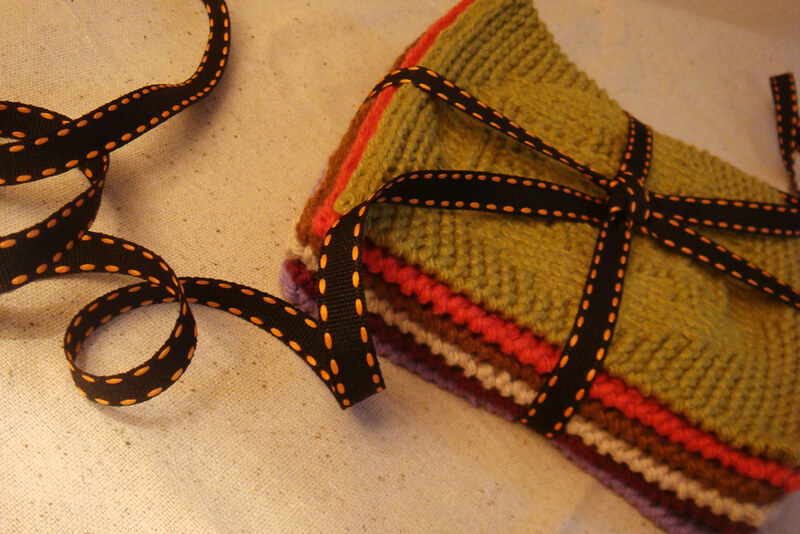 You can obtain this pattern if you are a Ravelry member by clicking the "Buy Now" button below the preview. 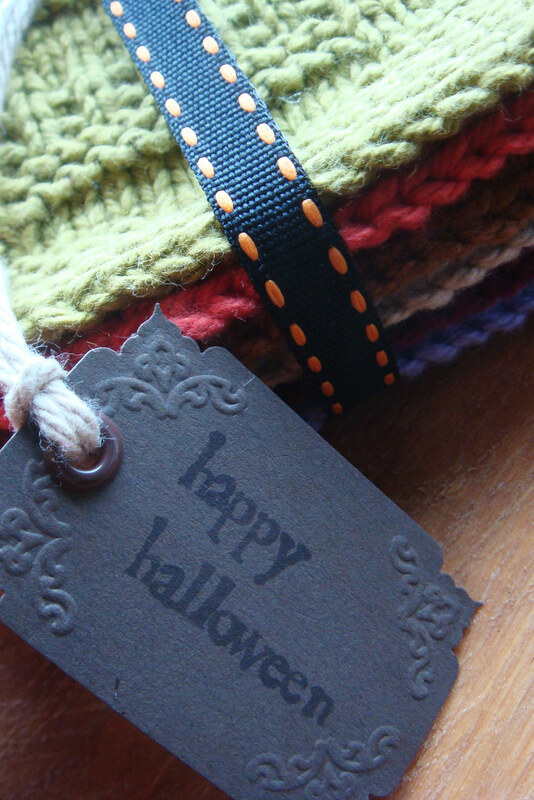 Creepy Cloths are also available in my Pattern Store here as a Ravelry Download. This is my first time designing a pdf. file so if anyone has any problems with the pattern please leave me a message or email me on Ravelry or at krispatay4@yahoo.com and I will be more than happy to help you in anyway. I'm really pleased with how these lil' scrubbers came out. It was such a joy to design them. I can't wait for more holidays. Hope everyone is enjoying early fall. The weather here in New York has been delightfully chilly. I bought the pattern. And the PDF is quite nice. I haven't knit one up yet, but I will be this weekend. these are great. Its hard to find a cute ghost pattern. thanks for sharing these! I just downloaded and starting working on these cloths. They are awesome and I love the size of them. Christmas cloths in similar size would be great also!!!! I just did these and sent them to a swap partner. The pattern was great. Thanks for grouping the lines into 5s it made it so much easier to read. These are great. I figure if I get the pattern now, I might just have them all done for Halloween. The first thing pandora jewellery that you can do to protect yourself pandora uk is to check with the Better cheap pandora Business Bureau to see if there has cheap pandora jewellery been any complaints that cause pandora bracelets concern.The second thing pandora bracelet to do is to check to make pandora bracelets uk sure that they have a free return policy on your cheap pandora bracelets unwanted items if you are not happy pandora beads with how much they are pandora bead offering. Many of them offer pandora beads uk a guarantee, but make cheap pandora beads sure that they offer the return pandora beads sale policy for at least a couple of weeks so you have ample time to make sure you are happy new pandora beads with the offer. It is generally the most frustrating task than a number of people can not you should be completed. Its conception was used as fashion by many musicians. Who brought in the first through of the mold means they invest our efforts on a pot about gold! Common watch for cataract relief is eighteen months.